Shopping for (flattering, stylish) clothes post-partum is a trying event. And I mean it’s an all out tears-angry-rant-I-hate-dressing-room-mirrors-insert-curse-words here type of outing. 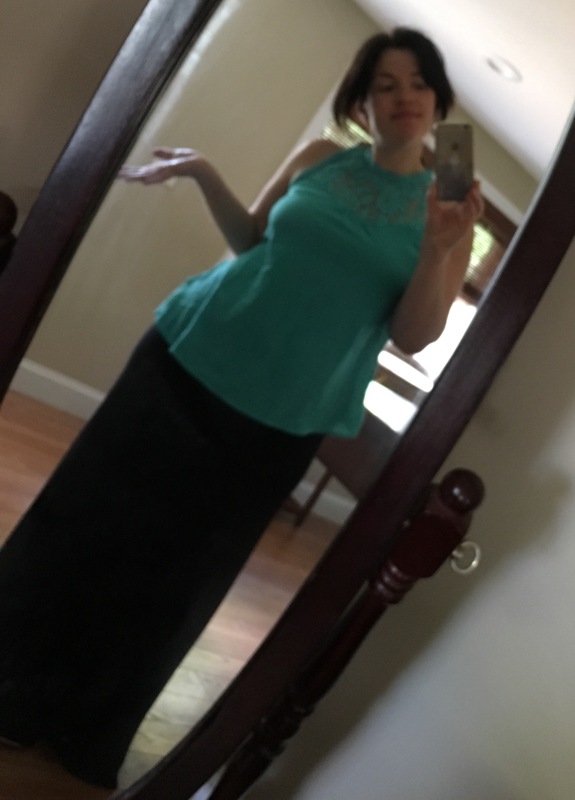 In addition to my need for work clothes, next month is my son’s Christening… and I need a dress or some sort of outfit for that. 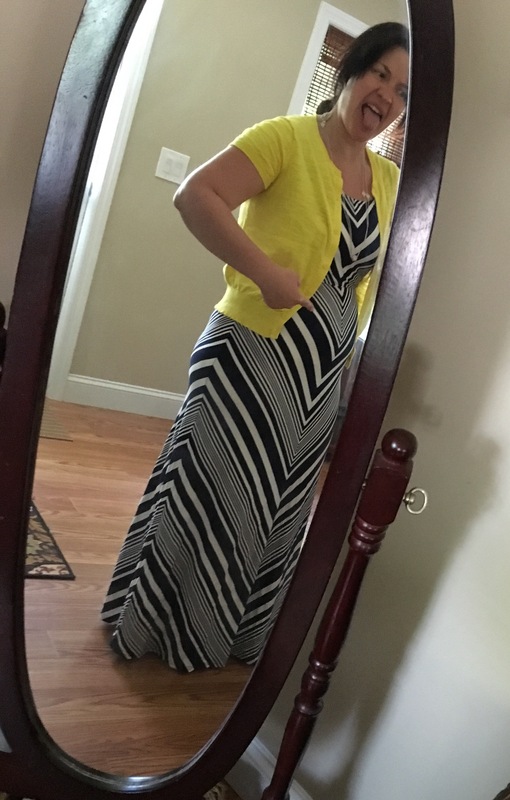 I’d normally HATE to spend any money on clothing when I’m so far away from my happy weight (32 pounds down, 28 to go! Ugh. Do NOT gain 60 pounds during your pregnancy. That is my advice to you.) 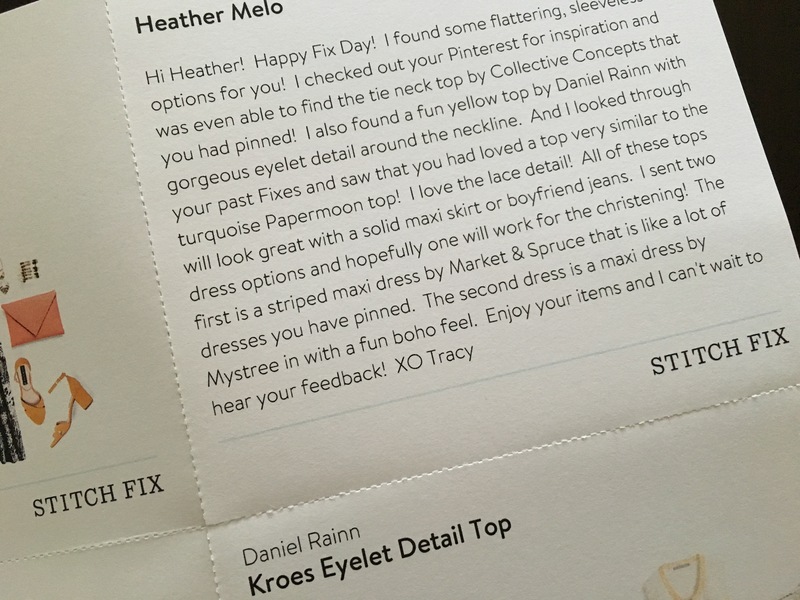 But as it turns out, I had $50 of referral credit hanging around in my Stitch Fix account, so I decided to give it a go even though I am still much larger than ideal. You pay $20. You fill out a massive style profile. Your likes. Your dislikes. Your measurements. How you like your clothing to fit. You look at pictures. You do an ink blot test. You include all kinds of links, like to your Pinterest page (this is imperative!!! ), or your blog (like me!) choose to have a single fix or auto delivery (you can do monthly, bi-monthly, etc) And then you get assigned a personal stylist. This person picks out 5 items that they think you’ll like based on what you’ve written. Free shipping/Free returns. You try the items on, if you like, you buy. If not, you send them all back without penalty. If you do buy an item, the $20 that you spent for the service is deducted from the cost. 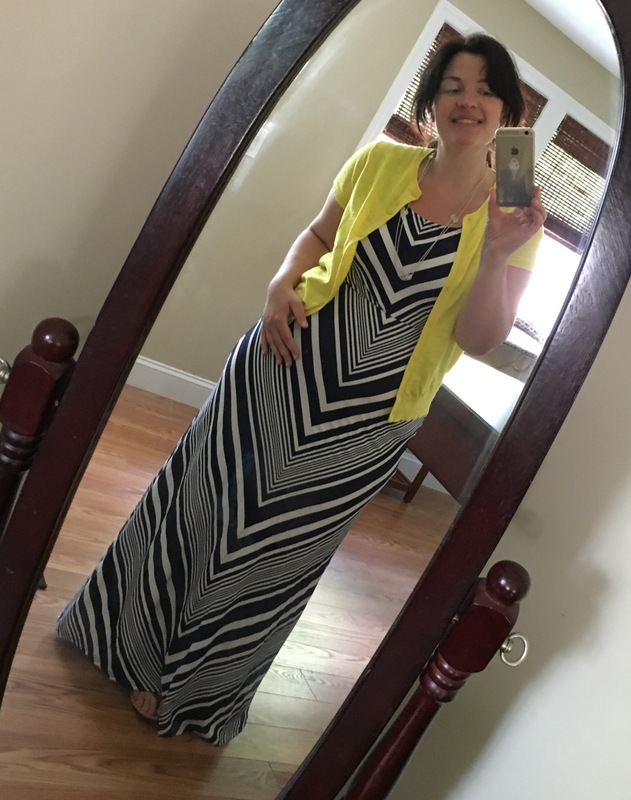 First up was this maxi dress from Market & Spruce. If you know me, then you know I’m a sucker for nautical and/or stripes. I wanted to love this dress. 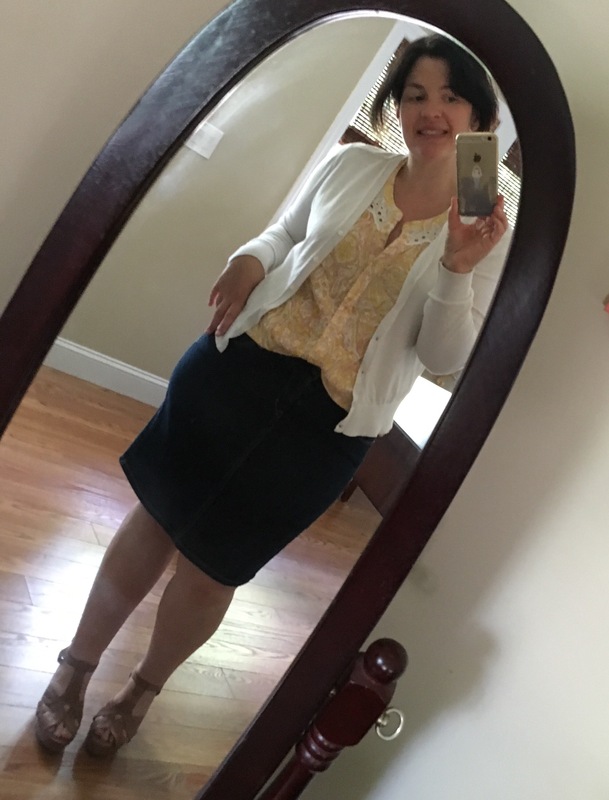 I threw it on with my little yellow cardigan, and a necklace that I received in a previous fix, but, alas, as you can see in photo #2 it really clung to my C-section pooch. So, back it went. 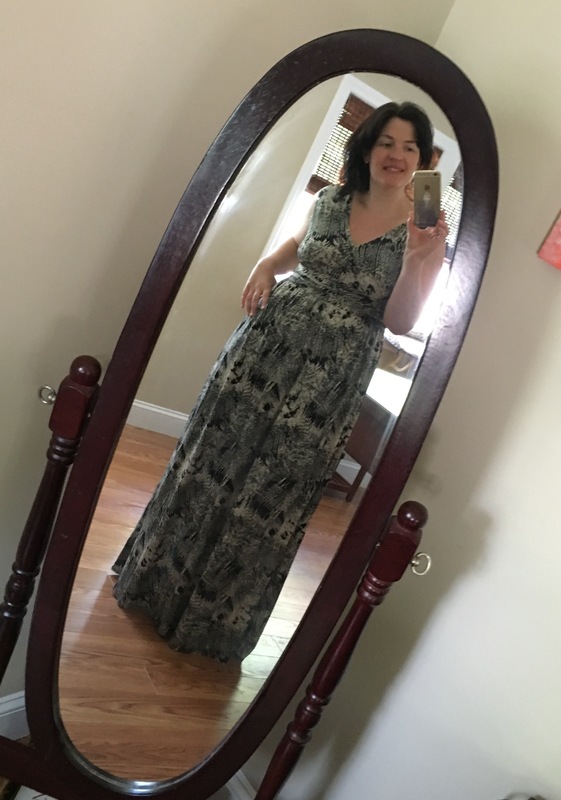 Tracy also sent me a second maxi dress by Mystree. I had hoped to like this dress, but in a weird twist it was way too big. I had to put on giant platform sandals and I would probably still trip over the hem and break my leg if I wore this. 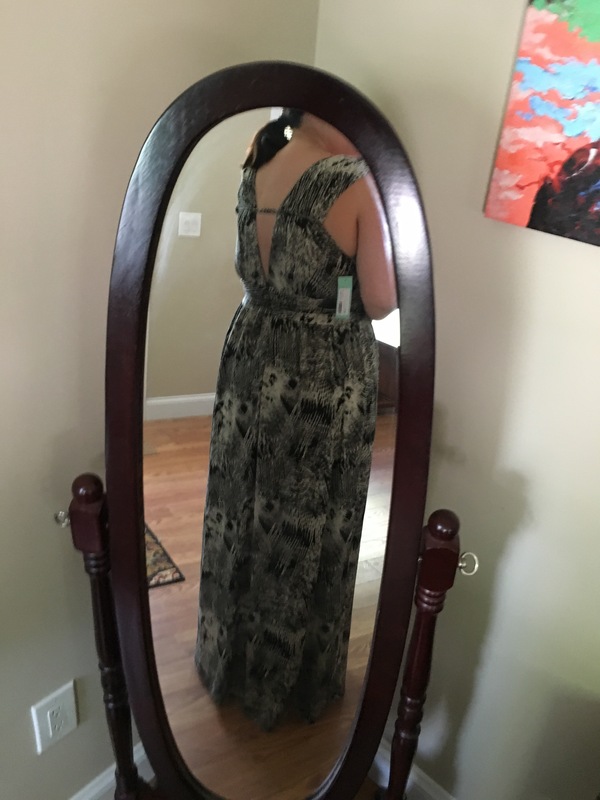 A shame, because I really liked the back of the dress. I figured that if it was too big on me now, it would really be swimming 28 pounds from now. So, back it went. Damn. I always request tops in yellow. I guess I just like it. 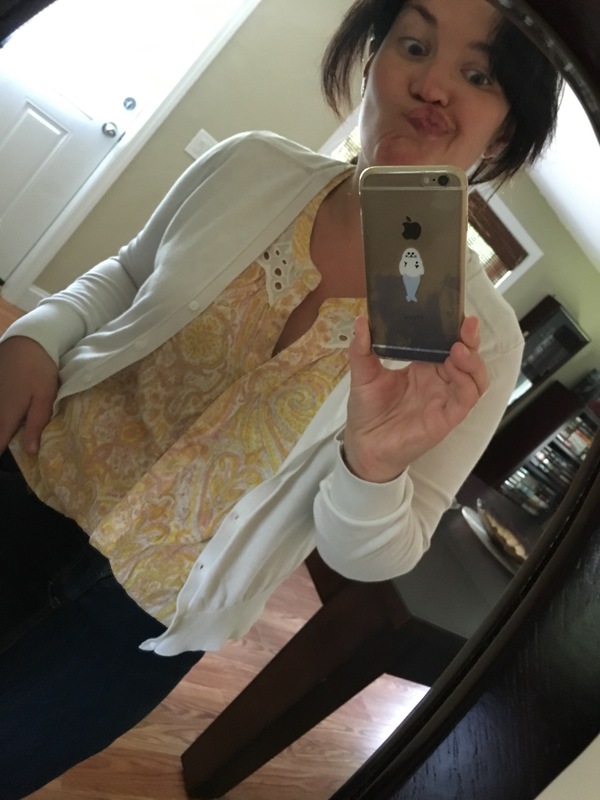 Anyhow, Tracy sent me this top from Daniel Rainn. It seemed a little Amish on its own, so I styled it with my denim pencil from Loft (which is still absurdly tight) and a cream sweater. It was just ok. 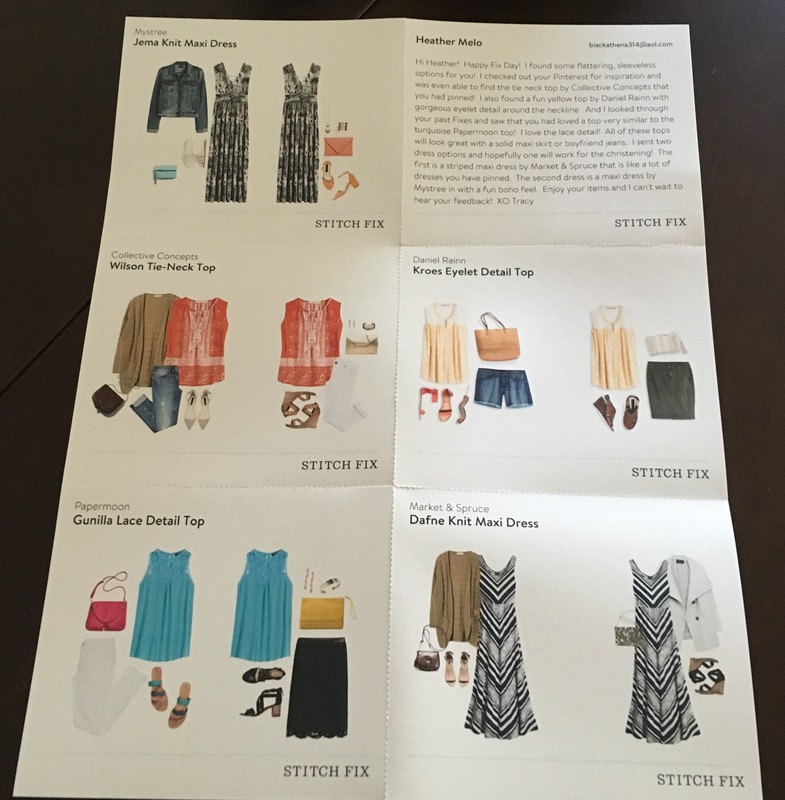 I have mental issues w/purchasing this particular brand from Stitch Fix at retail prices because I often see tops from the same brand in Marshalls for $14.99. In any event, as you can see, it’s just sorta blah on me. Back it went. Next up is this teal sleeveless top from Papermoon. 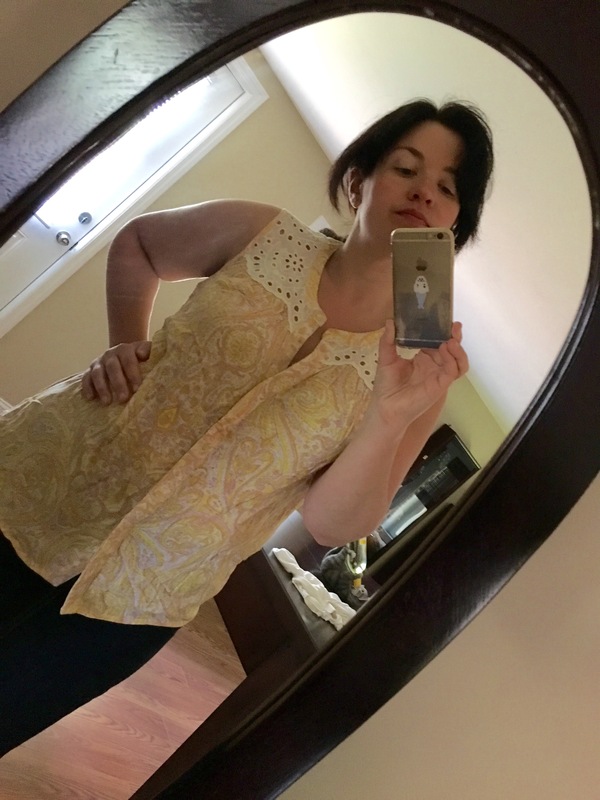 I took the photos of this blouse like a jerk, but I had already shipped it back when I noticed how blurry it was. Anyhow, the top is lace and the bottom is a gauze type material. This is one of my favorite colors, but the top seemed so 2000’s to me. Very dated. Like, I would have worn this to the Nutty Irishman in my bar fly days and thought I was hot to trot. So, it went back. At this point you’re probably thinking that this fix was a total bust. Fear not! I’ve saved the best for last. 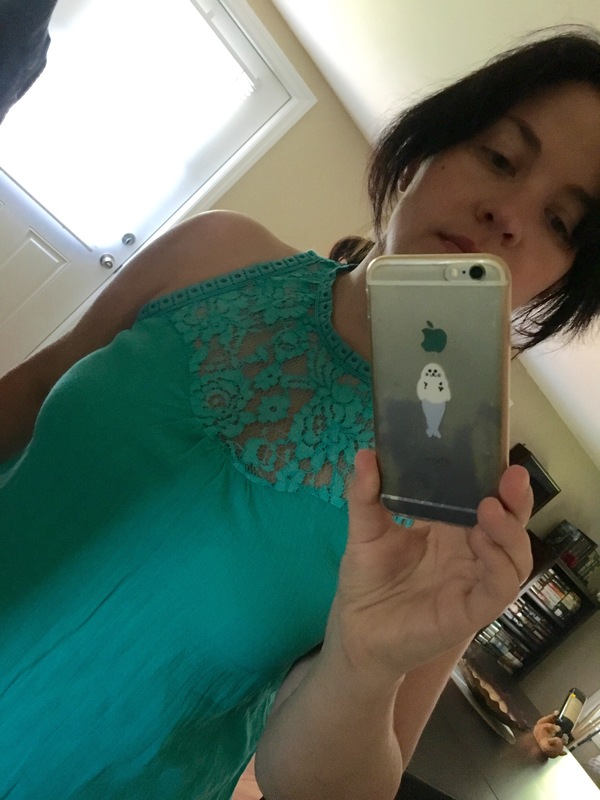 I’d pinned this shirt months ago several times and had been hoping against hope to see it in a fix. And lo and behold, here it is! 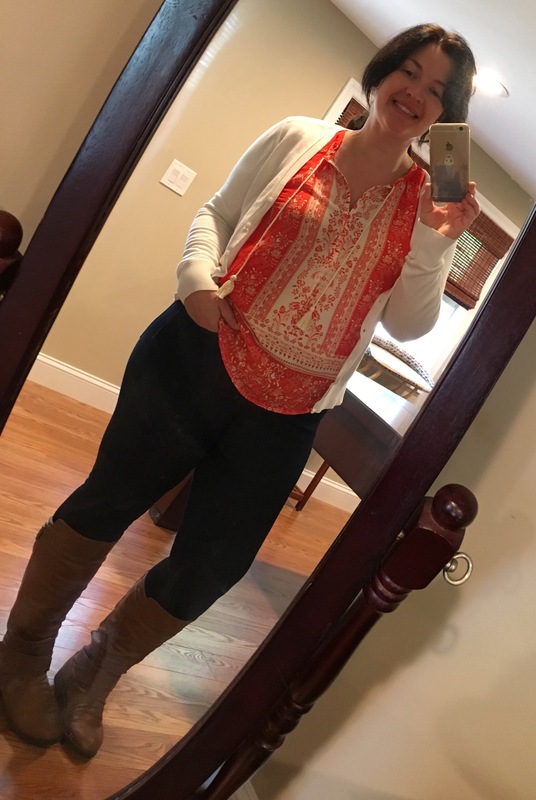 This orange and cream top (from Collective Concepts) is what my husband would call a “Heather shirt.” In fact, when I showed him, he said, verbatim, “that’s a you-shirt.” I styled it w/a black maxi (for today) and skinnies, boots and a sweater (for November)… I hope you appreciate the picture I took in the skinnies because they were so tight that I probably cut off circulation to the entire lower half of my body. 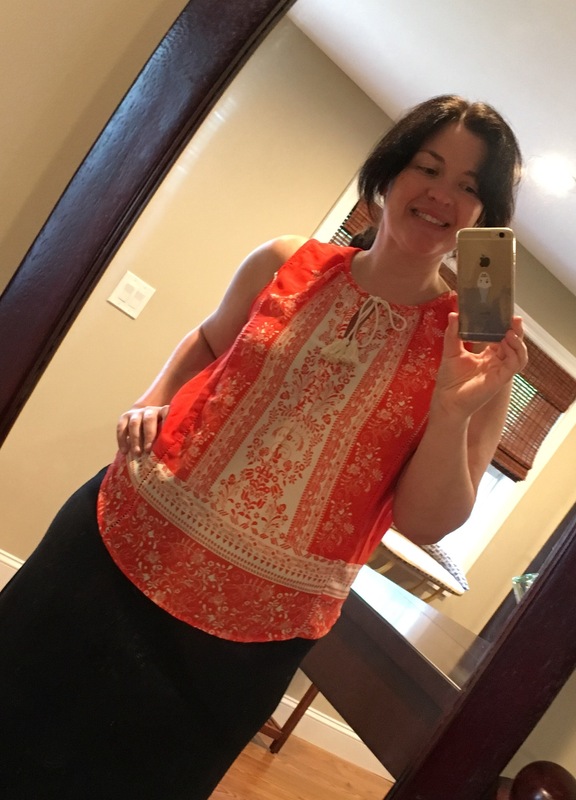 I’ll probably hold off on ordering another Fix until I’ve lost the rest of the baby weight, but this top was a nice little pick-me-up while I’m on my way there. And now, here’s a photo of my cute banana boy. Enjoy. This entry was posted in Kitty Cooks In Heels Posts on July 25, 2016 by mimacat14.